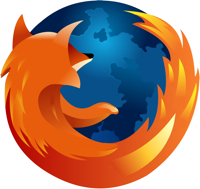 Mozilla has released Firefox 3.0.4 to address several issues with Firefox 3.0.3. This release includes a bunch of security fixes which I've enumerated in the table below. Fixed an issue where the IME input tool used to enter Japanese, Korean, Chinese and Indic characters was covered by the "Add Bookmark" panel. Fixed an issue where some passwords saved using Firefox 3.0.2 did not work properly. In some cases, Firefox would not properly save proxy settings for protocols other than HTTP.